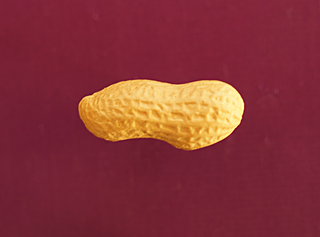 Maybe you’ve seen the stories about a peanut, prosaically named Carolina Runner No. 4? In 2017 it will be ready to be grown in commercial quantities, having faded gently away from being the primary peanut before the 1840s to a reasonable contender into the 1910s to presumed extinct by the 1950s. Professor David Shields, an historian at the University of South Carolina, found it in a genebank as part of a project by the Carolina Gold Rice Foundation, which he chairs, to restore the crucial varieties of the American South. It’s a fine story, but a couple of things bothered me. One, how do they know it is “the first peanut cultivated in North America” or “the South’s original peanut” as all the articles claim. Two, although everyone acknowledges that the peanut came to the USA not from South America, it’s ancestral home, but from West Africa with enslaved people, nobody seems to be much interested in what on earth it was doing in West Africa, or the consequences of its introduction there by the Portuguese. The podcast looks a bit at the question of whether Carolina Runner No. 4 – henceforth Carolina African Runner – is indeed the “ur-peanut”; I conclude that it doesn’t really matter. My article sketching the peanut’s influence in West Africa is here. My thanks to Professor David Shields and Dr David Williams for their help. Errors, of course, my own. The Carolina Gold Rice Foundation is doing good work. Music is The Peanut Vendor, played by Louis Armstrong, natch. It too had quite an influence, if Wikipedia is to be believed. Great critical questions about knowledge sources, Jeremy. And great podcast. Thanks for doing it.